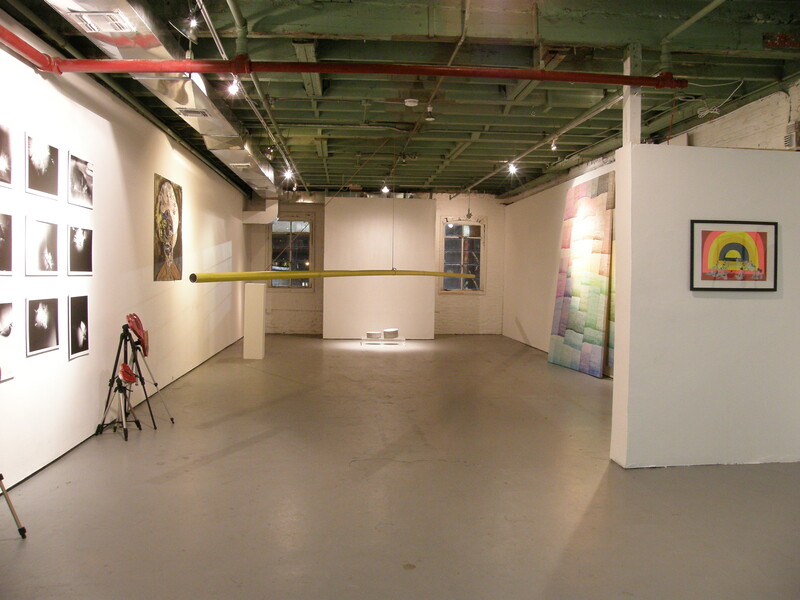 The newly renovated Flux Factory gallery is available for events and exhibitions! As a courtesy, we will include your event in our monthly emails and on our calendar. Our exhibition space is 1,550 square feet, with a garage door entrance way. It has a gritty industrial charm that is the product of a concrete floor, wooden ceiling beams, and conveyor belt leftover from its greeting card factory days. The walls are perfect for hanging artworks as they are made of brick and covered with drywall, all of which are painted white. There are adjustable track lights, fluorescent work lights, and basic A/V equipment available for use. Click here to download additional gallery rental information. 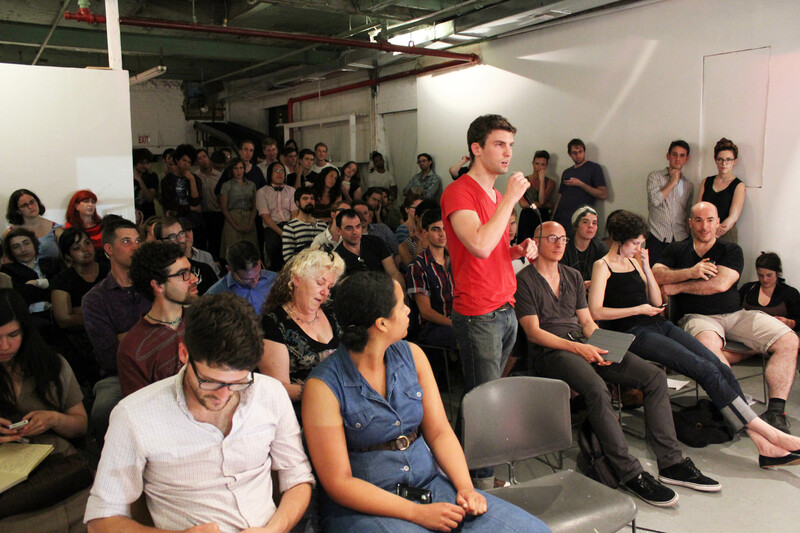 Please email info[at]fluxfactory[dot]org to inquire about rentals.